A businessman who lives in the area bought the building that houses the Friends of St. Andrews Hospitality Center, according to a spokesperson for the Archdiocese of Denver. 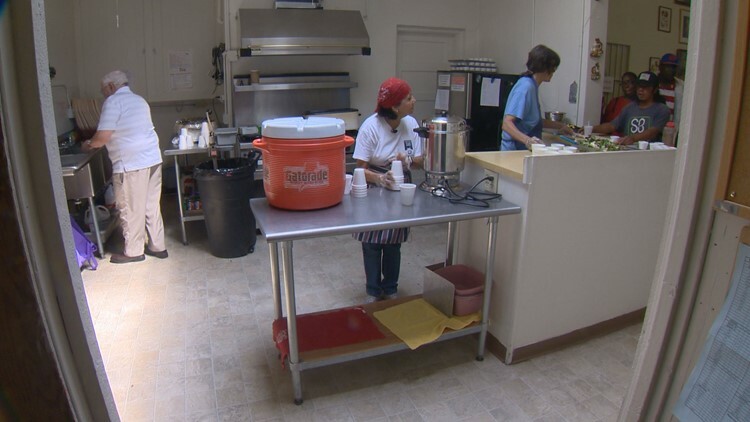 AURORA, Colo. — An anonymous donor has saved a soup kitchen in Aurora that faced an impending shutdown or move. Queen of Peace Catholic Church runs the center, which provides food, job assistance and more for 30,000 people a year, volunteers say. The man who previously owned the building donated it to Regis University with the mandate that it is sold to provide scholarship money for future students. The new owner wants to keep the soup kitchen running, the archdiocese said. The spokesperson said Queen of Peace and the volunteers who run the center are tremendously gracious. The buyer does not want any public recognition. “The Archdiocese of Denver is very thankful that an anonymous hero stepped up and wanted to save Friends of St. Andrew and enable Queen of Peace to continue to minister to the less fortunate in Aurora,” an archdiocese statement said. Regis, too, issued a statement saying the school is grateful both goals could be achieved. The Friends of St. Andrew has been at the building on Dallas Street since 1986.